Johnsee Lee, Chairman of Monte Jade Taiwan. Johnsee Lee received his PhD from the Illinois Institute of Technology and studied enterprise management at the University of Chicago and Harvard University. He worked in Argonne National Lab and Johnson & Johnson West Coast. Since 1990, he served as president of the Industrial Technology Research Institute and director of the Chemical Research Lab and Biomedical Engineering Center. He also headed several important national biomedical R&D projects. Lee is an industrial leader thanks to his insights, innovation, resolution and confidence. 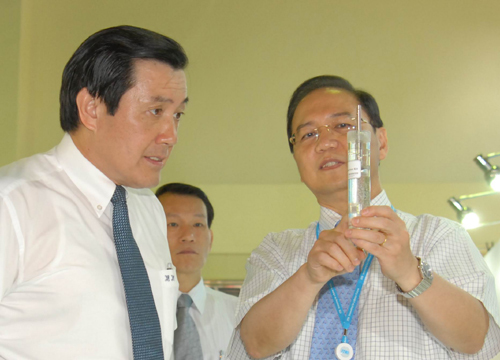 Ma Ying-jeou investigates the lab. On Feb 4, 1990, a group of Chinese-American executives from high-tech companies founded the Monte Jade Science and Technology Association in San Jose, California, making full use of the human resources in the San Francisco Bay Area and Taiwan. The company, named after Mount Yu (Jade Mountain), the highest mountain in Taiwan, symbolizes vision and sustainability and the persistence of Chinese entrepreneurs. 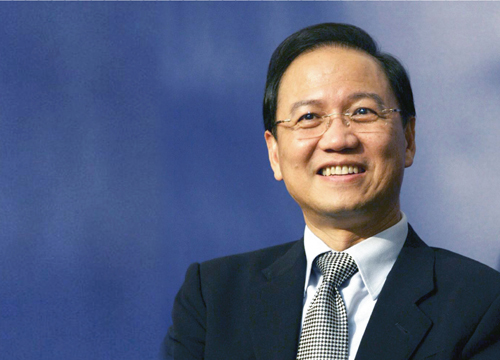 To promote knowledge transfer, Chao-Shiuan Liu founded the association’s Taiwan branch on May 23, 2001. Monte Jade Taiwan's objective is to promote the cooperation and mutual flow of technology and investment among Taiwanese and North American high-tech companies. This provides an opportunity for professionals and corporations on both sides of the Pacific to network and share valuable experiences in investment, opportunities, management, technology and business information exchange. The association, appealing to talent from both industry and academia, hosts a variety of activities including annual conferences, dinner meetings, forums and training workshops in order to build up a think tank in the global Chinese community. Since its establishment, Monte Jade has expanded from Silicon Valley and Taiwan to the Chinese mainland. It will keep serving as a platform for high-tech industry exchanges among the global Chinese community.